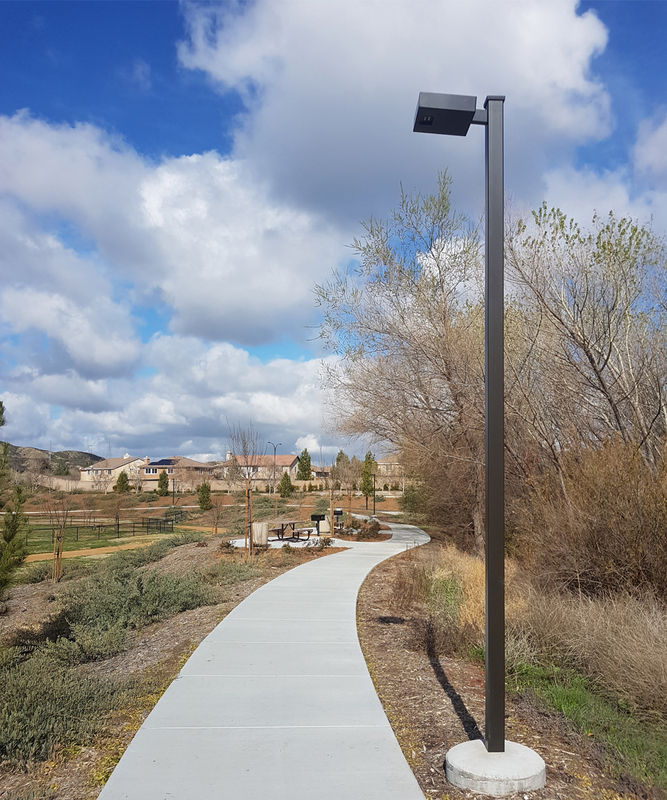 The City of Beaumont, California opened Nicklaus Park in the Fairways community in 2016. The 22 acre park featured a number of amenities for area residents including a 9 hole disc golf course, pickle ball courts, basketball courts, hand courts and outdoor exercise equipment. But the previously undeveloped piece of the land had no electrical connection for lighting and building one for the sprawling park would have been costly for the municipality. 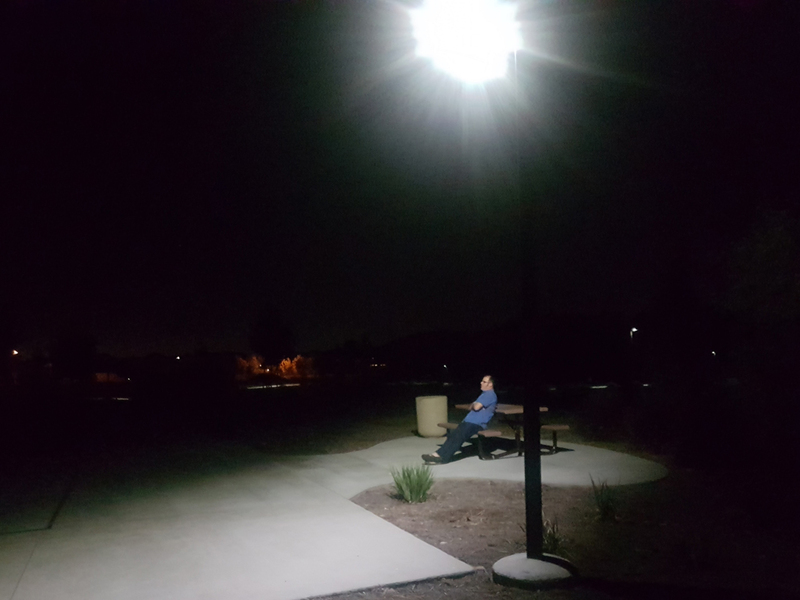 It was for this and other reasons that the city chose 26 SCL and 6 SCL2 luminaires to provide lighting for the park to improve safety and accessibility. 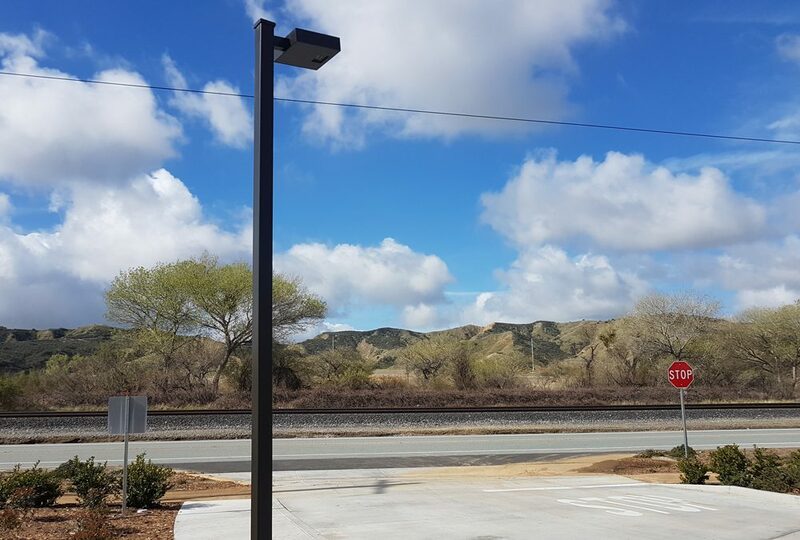 Cost Effective: Solar powered lights allows the city to save substantially on install costs because they don’t have to build a connection to the electrical grid and they don’t have to trench wires to each light. The cost for digging a trench and remediating the ground afterwards is often $25 or more per foot depending on the soil conditions. In addition to a much cheaper install, there is no scheduled maintenance needed and no ongoing electrical costs. Reliable Performance: Both the SCL and SCL2 incorporate adaptive technology that optimizes performance based on the real-world conditions that the lights are in. This ensure lights are always on when needed. Sustainable: Having solar powered, sustainable lighting for Nicklaus park aligns with Beaumont’s overall sustainability plan to reduce the city’s carbon footprint. 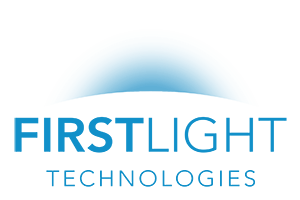 With the excellent performance of First Light products, the City of Beaumont is considering solar powered luminaire for other city projects in the future.